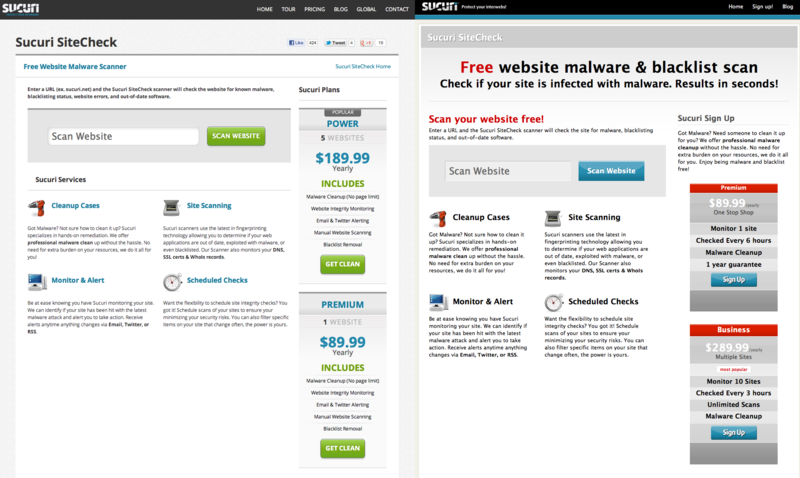 Sucuri Security has redesigned their website, from front page to their free SiteCheck scanner tool. Sucuri worked with WebDevStudios on the redesign, starting on the design and finishing with the development, well, yesterday. The discussion as you might imagine, revolved around when would be the right time to change our virtual storefront, our website. We had the normal back and forth, “It’s fine” “We just did it two years ago” “People know who we are” etc.. but in the end we decided, that YES, it was time. I think we’ve all gone through that thought process before, right? 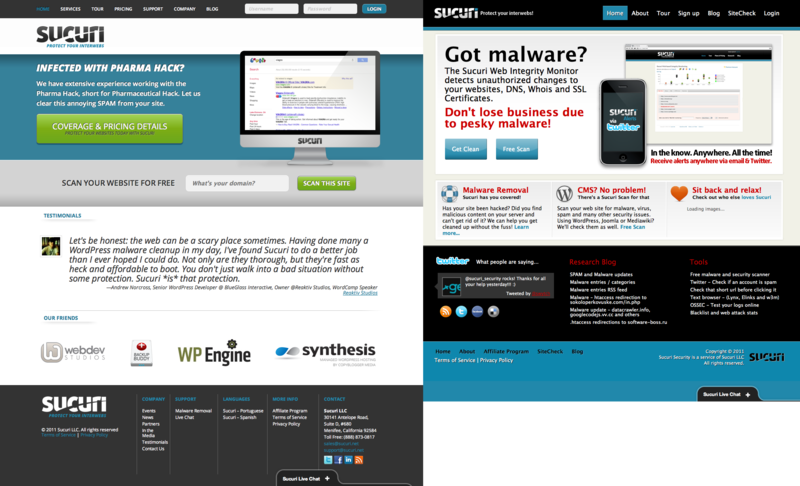 As you’d expect, comparison screenshots of the redesign are posted just after the jump. Sucuri might not be a WordPress-specific business, but they are so present within the community that I consider this a worthy addition to our big WordPress site redesign series. What do you think of their redesign? Does it communicate just what Sucuri is better than the old design? HELL YEAH IT DOES !!!! Just kidding, but if you have opinions we’d love it hear it. That’s what we were looking for!!! Wow! Great job guys. Looking very nice. Looks great, I use the site scanner every week and it’s very helpful.